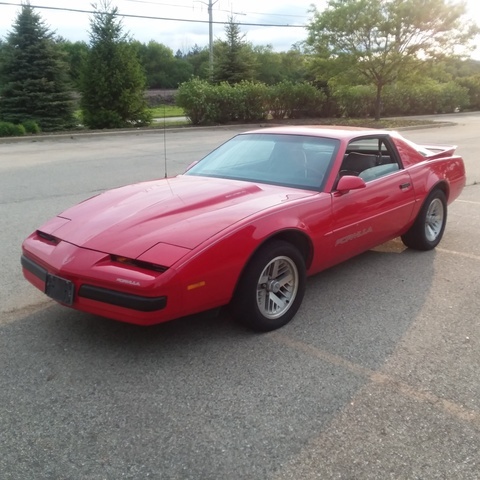 Have you driven a 1990 Pontiac Firebird? Displaying all 9 1990 Pontiac Firebird reviews. Pros: Runs like a dream, handles good and has a lot of power for a 3.1. It Was My Dream Car When I Was Little And Now I Have It . It's Not Going Anywhere Any Time Soon. 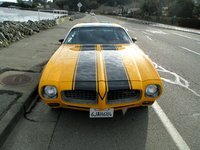 — I absolutely love my Firebird, I bought it in August of 2008 from my dad. The body styling and shape is beautiful. The motor could use some work but gets 23 miles to the gallon on the highway and 17 around town(for 216,000 miles that ain't bad). I ran a red light and got t-boned by a motorcycle, car looks bad but drives fine and will soon be fixed when i get home and be like a new car inside and out( that was the first accident that the car has ever been in, before that it had only two dings and original paint). Pros: It's fun to drive loves curves and has T-tops. Cons: Most people would say it rides like a rock as a down fall but i like to feel the road so i don't have many downs about the car. Performance: Acceleration- for a vehicle of its age it accelerates pretty well with general maintenance I think it performs pretty close to when it was new. Braking- the braking needs work but that is because of its age and weight it could use an upgrade. Handling- it handles pretty well for its age but of its age it needs a complete rebuild from bushings, ball joints, and shocks. Build Quality: as far as pony cars are concerned the gm 3rd gen f-body chassis were manufactured pretty well but with vehicle becoming 20 years old the suspension needs to be redone so it squeaks and rattles like any car its age my only problem is the radiator/cooling system design the engine will overheat if any of the bottom plastic air dams are missing or broken. 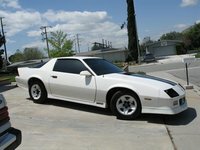 Appearance: its a very good looking vehicle when compared to other vehicles from the 90's, the vehicle I own is a t-top firebird and its a bandit 2 edition so it has a trans-am body kit which makes the car way better looking than the base model my only problem with the car is there is no glove box to store insurance papers and such. 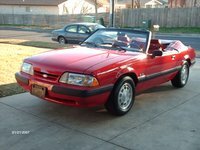 Cost of Ownership: Gas mileage- it has pretty good 90's V8 gas mileage it sick that this car's 5.0L 8 cylinder gets better mileage than my 4.0L 6 cylinder jeep engine. Maintenance- its an american car so parts are inexpensive with also with used parts in abundance in junk yards, I only performed general maintenance including tune-up, fluid changes, and brakes on the vehicle to restore it to an daily driver. Fun Factor: Its an old pony car so its fun to drive it would be more fun with an larger engine. Love My Car — my girlfriend is the original owner i have 100000 of the 181000 miles on the car its only been back to the factory for repairs 1 time other than that i have done everything to it. I never had more enjoyment driving a vehicle. Extremely Fun, Gorgeous, And Agile — One of my favorites that ive owned/driven. The only sense of unreliability came recent, which obviously is due to nearly 20 years of age. That reflects the reason of my less than perfect reliability rating. Mostly cooling but more recently the cat went-Only real problems. Never stalled v6 caused for decent pickup. Enough to play with. If i didnt sell it, i planned on cutting out the cat. Doing the intake didnt elicit much power. Handling was amazing. Generally flat through all turns, and the car has more than enough torque to drift with. Tops at just over 120 (top of spedometer) with no trouble getting there. Braking was adequate, addition of 2 more discs would better that. Rare Fun In An Drivable, Head Turning, Affordable Collectible — I bought this as a project car to take to the track on weekends. Well, thats expensive, so I drive it for a release from the daily grind. With the tops off listening to XM or the exhaust note at 1100 rpm just rejuvenates me. I love to drive. Not a family car, but my kids love to ride her. If she had a little more room, we would all go to Woodward Dream Cruise, but if she had more room she would not be a Formula for that trip. Pros: Solid handler and she gets pretty good gas mileage. Cons: Its 1990 technology...no super charger no electronic horse power makers. Great Car — I first saw this car i said to myself i have got to have that because it is the best of two worlds. I can use it for to drive anywhere or to play around at the local track.it is Reliable,good gas mileage,great with all of the extras. The car has been in several car shows in the past three years.it has some of the best quality brand after market parts,as well as factory. Love this car. Pros: This car is a true muscle package it has the best of everything installed.